This is your LAST CHANCE to get this amazing album on vinyl!!! 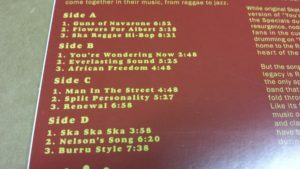 Jamaican ska originators’ Grammy nominated 1994 album will be available for the first time on vinyl – an official selection for Record Store Day 2018! Recorded 30 years after the breakup of the original Skatalites, “Hi-Bop Ska” finds the band’s blend of R&B, jazz, and Afro-Caribbean music continuing to sound healthy and exuberant. 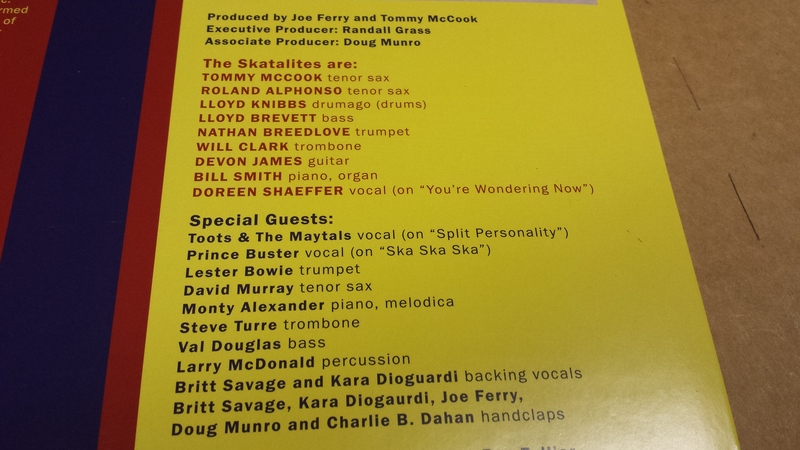 Throughout the 1990s, the band’s studio/live ranks ranged from newcomers to survivors of the band’s classic 1960s lineup, including saxmen Tommy McCook and Roland Alphonso, bassist Lloyd Brevett, drummer Lloyd Knibbs, and vocalist Doreen Shaffer. 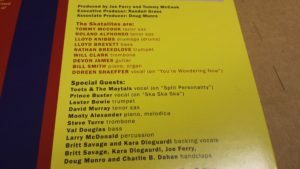 The Skatalites are joined here by several prominent guests including fellow Jamaican legends Toots Hibbert (of Toots & the Maytals) and Prince Buster; jazz improvisers Lester Bowie on trumpet, saxman David Murray, trombonist Steve Turre, and Jamaican pianist Monty Alexander. The jazzers get plenty of room to shine on this mostly instrumental album, from Alexander’s “Renewal” and Murray’s “Flowers for Albert” to remakes of iconic 60’s ska anthems “Man in the Street”, “Guns of Navarone”, “You’re Wondering Now”, and “Ska Ska Ska”. 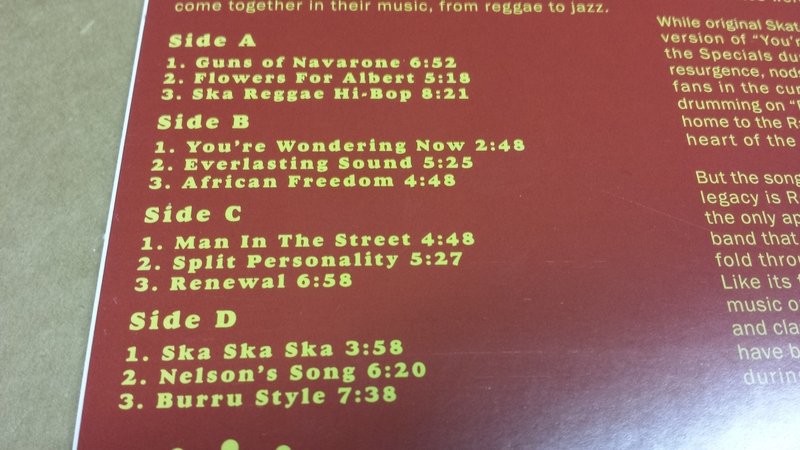 “Hi Bop Ska” harkens back to the heyday of Jamaican independence, when the freedom sounds of ska ruled the dancehalls. These dozen songs are an essential journey for fans who discovered ska from it’s Third Wave (Mighty Mighty Bosstones, The Toasters, Mephiskapheles) and Second Wave (The Specials, Madness, English Beat), but is also a wonderful addition to the band’s short lived 1960’s output on Studio 1 and Island Records. We at JUMP UP are SO PROUD to finally give this album a breath of new life in 2018 – to an entire new music buying generation that are preferring to discover classics like this on vinyl. Previous post: THE LOVING PAUPERS “Lines” LP vinyl OUT NOW – Broken Hearted Reggae from D.C.
Next post: EASTERN STANDARD TIME “Time For Change” LP – Wash DC’s Ska-Jazz pioneers are BACK! Come to the CAPITAL SKA & REGGAE REVIEW May 24th in DC!